Like many Americans, you may take dietary supplements in an effort to stay healthy. With so many dietary supplements available and so many claims made about their health benefits, how can you decide whether a supplement is safe or useful? This fact sheet provides a general overview of dietary supplements, discusses safety considerations, and suggests sources for additional information. Dietary supplements contain a variety of ingredients, such as vitamins, minerals, amino acids, and herbs or other botanicals. Research has confirmed health benefits of some dietary supplements but not others. To use dietary supplements safely, read and follow the label instructions, and recognize that “natural” does not always mean “safe.” Be aware that anherbal supplement may contain dozens of compounds and that all of its ingredients may not be known. Some dietary supplements may interact with medications or pose risks if you have medical problems or are going to have surgery. Most dietary supplements have not been tested in pregnant women, nursing mothers, or children. 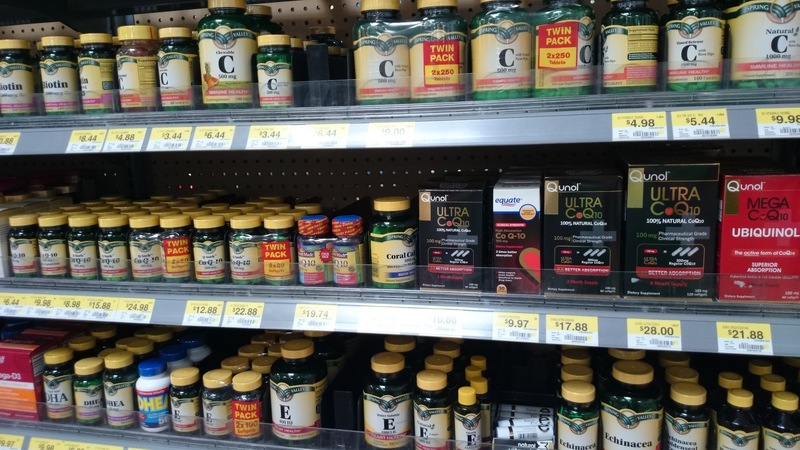 The U.S. Food and Drug Administration (FDA) regulates dietary supplements, but the regulations for dietary supplements are different and less strict than those for prescription or over-the-counter drugs. Tell all your health care providers about any complementary health approaches you use. Give them a full picture of what you do to manage your health. This will help ensure coordinated and safe care. Is labeled as being a dietary supplement. Herbal supplements are one type of dietary supplement. An herb is a plant or plant part (such as leaves, flowers, or seeds) that is used for its flavor, scent, and/or potential health-related properties. “Botanical” is often used as a synonym for “herb.” An herbal supplement may contain a single herb or mixtures of herbs. The law requires that all of the herbs be listed on the product label. Research has shown that some uses of dietary supplements are beneficial to health. For example, scientists have found that folic acid (a vitamin) prevents certain birth defects. Other research on dietary supplements has failed to show benefit; for example, several major studies of the herbal supplement echinacea did not find evidence of benefit against the common cold. According to the 2007 National Health Interview Survey, which included questions on Americans’ use of natural products (not including vitamins and minerals), 17.7 percent of American adults had used these types of products in the past 12 months. The most popular of these products used by adults in the past 30 days were fish oil/omega 3/DHA (37.4 percent), glucosamine (19.9 percent), echinacea (19.8 percent), flaxseed oil or pills (15.9 percent), and ginseng (14.1 percent). National Health and Nutrition Examination Survey (NHANES) data collected from 2003 to 2006 that covered all types of dietary supplements indicate that 53 percent of American adults took at least one dietary supplement, most commonly multivitamin/multimineral supplements (taken by 39 percent of all adults). Women were more likely than men to take dietary supplements. The Federal Government regulates dietary supplements through the FDA. The regulations for dietary supplements are not the same as those for prescription or over-the-counter drugs. Manufacturers of dietary supplements are responsible for ensuring that their products are safe and that the label information is truthful and not misleading. However, a manufacturer of a dietary supplement does not have to provide the FDA with data that demonstrate the safety of the product before it is marketed.1 In contrast, manufacturers of drugs have to provide the FDA with evidence that their products are both safe and effective before the drugs can be sold. Manufacturers must follow “current good manufacturing practices” for dietary supplements to ensure that these products are processed, labeled, and packaged consistently and meet quality standards. Once a dietary supplement is on the market, the FDA evaluates safety by doing research and keeping track of any side effects reported by consumers, health care providers, and supplement companies. If the FDA finds a product to be unsafe, it can take action against the manufacturer and/or distributor, and may issue a warning or require that the product be removed from the marketplace. Also, once a dietary supplement is on the market, the FDA monitors product information, such as label claims and package inserts. The Federal Trade Commission (FTC) is responsible for regulating product advertising; it requires that all information be truthful and not misleading. The Federal Government has taken legal action against dietary supplement promoters or Web sites that promote or sell dietary supplements for making false or deceptive statements about their products or because marketed products have proven to be unsafe. In 2010, an investigation by the U.S. Government Accountability Office found instances in which written sales materials for herbal dietary supplements sold through online retailers included illegal claims that the products could treat, prevent, or cure diseases such as diabetes, cancer, or cardiovascular disease. It’s important to look for reliable sources of information on dietary supplements so you can evaluate the claims that are made about them. The most reliable information on dietary supplements is based on the results of rigorous scientific testing. Ask your health care providers. Even if they don’t know about a specific dietary supplement, they may be able to access the latest medical guidance about its uses and risks. Look for scientific research findings on the dietary supplement. The National Center for Complementary and Integrative Health (NCCIH) and the National Institutes of Health (NIH) Office of Dietary Supplements (ODS), as well as other Federal agencies, have free publications, clearinghouses, and information on their Web sites. This publication is not copyrighted and is in the public domain. Duplication is encouraged. NCCIH has provided this material for your information. It is not intended to substitute for the medical expertise and advice of your primary health care provider. We encourage you to discuss any decisions about treatment or care with your health care provider. The mention of any product, service, or therapy is not an endorsement by NCCIH. Previous article5 Tips: Natural Products for the Flu and Colds: What Does the Science Say?